I've upgraded to 13.04 and some things are missing. I can neither open the system settings nor the "displays" app to change dual monitor settings. When I click on "System Settings..." in the top right corner nothing happens. And on the top right there's no more date/time shown, I presume I could change that in the settings. How do I get the "Systems Settings" and "Displays" app back? I can't find the right packages. gnome-control-center is already the newest version. gnome-control-center set to manually installed. Both "System Settings" and "Displays" are there now. I had same problem, Ubuntu 18.04LTS. since some days, (since update gnome?) , I cannot use Settings, cannot find it anymore on my system. Not the answer you're looking for? Browse other questions tagged 13.04 system-settings or ask your own question. 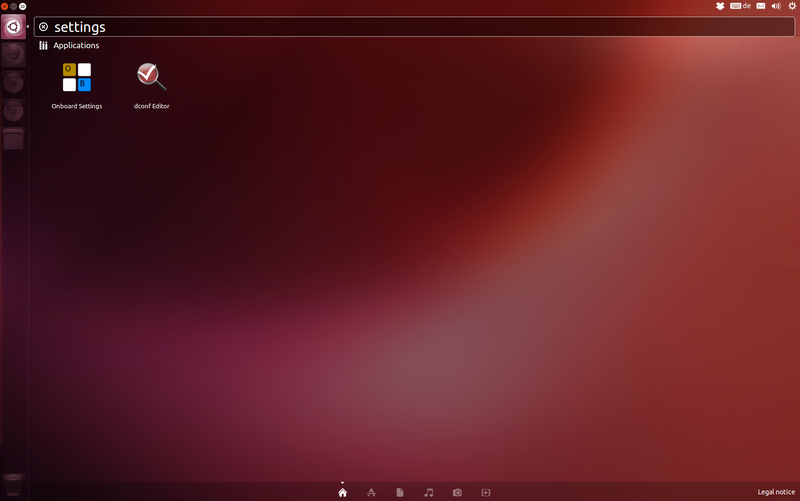 Kubuntu 13.04 Blutooth missing from system settings! “Date and Time Settings” GUI in Ubuntu 14.04 is not working?